Born in Samobor, Croatia, May 16, 1953. Married and mother of twins (1981). 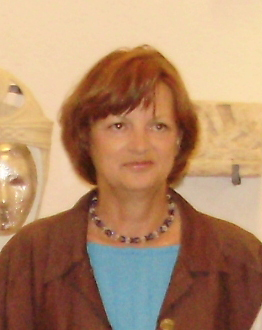 Ethnology and Social Anthropology researcher, Rijeka Institute, Croatian Academy of Science and Arts (since 1980). Degrees in ethnology, English language and literature, Zagreb University, Faculty of Philosophy. Vice president, senior consultant and project manager for ICAM (International Centre of Anthropology Motovun), a Croatian NGO. Current vice-president of the European Council for the Village and Small Town (ECOVAST) and vice-president of the Croatian Section of ECOVAST. Involved in numerous environmental, heritage interpretation and revitalization projects, promoting ideas for the sustainable development of rural areas in Croatia and elsewhere in Europe. Special interest in vernacular architecture and its use in development of sustainable tourism. Participated at a number of international and domestic conferences on related subjects, with publication of papers and research works. 1990, Zavicajni park Istre / Regional Park of Central Istria. (Proposal for an International Pilot- project, ICAM). 1992-1995, Zavicajni park Istre, Institut for Tourism, Zagreb (scientific elaboration). 2000-2004, Putevima bastine - S obje strane rijeke Kupe / Heritage Trails - On Both Sides of the River Kupa. (Cross-border Coop.Project with Slovenia, ICAM, Ministry of Tourism,Croatia). 2004-2005. ALO Project for Sustainable Development of Rural Regions in Croatia (US AID), University of Georgia, University of Zagreb, ICAM – NGO Rijeka. 2007- ECOVAST Project: Small Towns in Europe/Croatia.